What versions of Mahjong are there available to play? Where can I find the rules for mahjong? What is the difference between Mahjong Competition Rules and Hong Kong rules? How is the scoring decided? How do I play this game? Can I play this game by myself? How do I play for Jackpot? How to switch off the game sounds? What does the $(dollar) icon on the belt mean? How do people know that I want to play? What are the hot keys and how can I use them? Can I watch a game being played? How do I start to play Mahjong? Can I choose to play against my friends? How do I get out of the game? How do you self kong? How to count flower and season tiles? Please explain: while in MCR when you declare mahjong the tiles become red? Can I use the 4th tile of my pung to form 2 pairs for my 7 Pairs combination? If you have several options of combinations how do you choose which one over the other? How to define a Joker? How do I get a card to play American (NMJL) Mahjong? What is the Fan-Laak table? How do I exchange a Joker? Q: What versions of Mahjong are there available to play? A: We currently support the following mahjong versions: Hong Kong, Mahjong Competition Rules, American Modern NMJL, Riichi Competition, European Classical and Taiwanese. Several other styles are used for special tournaments: Zung Jung and Japanese Ari Ari. Q: Where can I find the rules for mahjong? While in the game you can use the Help menu on the player bar to access rules and scoring information. Q: What is the difference between Mahjong Competition Rules and Hong Kong rules? A: Mahjong Competition has much more scoring possibilities but the games are pretty similar in basic combinations. Q: How is the scoring decided? A: You can learn the scoring of game on the "Game info" section of our site. Click on the "Games" page (top navigation bar). Choose a game with the style and the level you prefer. Click on "Fun Games" tab. Choose a game with the style you prefer. Click on the "Join" button. Q: Can I play more than one game at a time? A: You can play at more than one table if you use the same account – although this will greatly reduce your abilities. But according to our policy you are forbidden to have multiple active accounts registered on our site at the same time. Q: How do I play this game? Can I play this game by myself? A: You can play School Games with robot players. But to play with real competitors you need a total of 4 players. To start this game you need to go to the "Games" section then you'll click on "New Game". After you select the preferred settings click "Create table" and you are done. Please note that only players with memberships can create their own games. Q: How do I play for Jackpot? A: You can play any type of Cash Game to become eligible for the Jackpot. Please note that there are 5 levels of the Jackpot – each covering games with certain entry fees! Choose a level, play games in that entry fee range and win – all it takes is to be active and you will win! Q: How to switch off the game sounds? A: There is a check box on the top left corner of the game screen (player bar) from where you can choose to toggle the sounds on or off. You can also lower the sound level from the Account>Settings menu. Q: What does the $(dollar) icon on the belt mean? A: This icon means that the player has played for cash on that particular style for which the belt stands. That icon (proving that players' high skill in that style of mahjong) is meant to inform other players that they can challenge that particular player in that style. Q: How do people know that I want to play? A: You can let people know that you want to play by writing in the Public Chat located in the lower right corner of the game screen. You can also create a table and wait - players will see your waiting status in the Online Players section and join into your game. You can also set a certain default style in the Settings sub-menu – thus showing that you prefer to play that style. Q: What are the hot keys? How can I use them? Click the "My Account" menu. Q: How do I join a game? A: On the home page click on the "Games" tab. In the box "Fun Games" choose a game you would like to join. Click on the "Join" button and in the table lobby. Once you have 4 players the game can start. Q: Can I watch a game being played? A: Yes, you can. You can join any game as a spectator by clicking on the "Watch" button in the action column. Q: How do I start to play Mahjong? You can either join an existing game from the list - or if you’re a membership holder you can click on "New Game" after you fill up the required fields click "Create table" and you are done! Then you need 3 more players and the game will start! Q: Can I choose to play against my friends? A: Yes, you can. Join an existing open game or create your own and challenge your friends. Note: If you wouldn't like any other players to join your game – make sure to set the "Only Friends can join this game" setting while creating the game. A: You can invite players when you are sitting at a table by clicking on the "Invite" button. Choose a player from the list and invite. Q: How do I get out of the game? A: When it finishes, the system goes onto the next game. You can leave a table any time (by using the Leave button in the lower left corner of the screen) but your rating could go down because the auto player can't win for you. Also if only 2 players are left at the table you can leave the table without penalty because the rating in this case is not counted. Q: How do you self kong? A: When it is your turn, check to see that you have 4 identical tiles and then you can self Kong or self Mahjong if you are eligible. A: You can mahjong when it is your turn by clicking on the "Mahjong" button. Q: How to count flower and season tiles? - In MCR each flower and season gives 1 point - but not to the base hand, only to the bonus added to the worth of the hand. - In HK only the flower and season that matches your wind gives you 1 point but this one is added to the actual worth of the hand. You can find more info on how are flower tiles counted in the Scoring pages of each style here. Q: Please explain: while in MCR when you declare mahjong the tiles become red? A: In MCR, when you declare a mahjong with not enough points - your current tiles are shown to the other players, but you can still continue playing. Q: Can I use the 4th tile of my pung to form 2 pairs for my 7 Pairs combination? A: Generally no, but such styles as Taiwanese and Mahjong Competition Rules accept such practice only if all four tiles are self-concealed. All other supported styles do not allow it. Q: If you have several options of combinations how do you choose which one over the other? A: There is a pop up message that lets you choose which combination to declare. Q: How to define a Joker? Note: Please remember that you are not required to define your Jokers in order to claim mahjong. Q: How do I get a card to play American (NMJL) Mahjong? Go to the site http://www.nationalmahjonggleague.org. On the upper side of the page click on The Store. On the page that opens next you'll see the instruction on how to order it. Q: What is the Fan-Laak table? 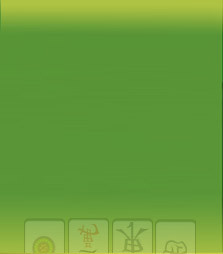 A: The Fan-Laak table is the scheme according to which the value of the hand is calculated in Hong Kong style Mahjong. You can find this table here. Q: What is Self Drawn? A: A self drawn win requires that the last tile, the tile you've claimed for mahjong, is to be received from the wall and not from a player. For example: In Hong Kong style Mahjong, if you win with a self drawn last tile – you get 1 additional fan. Q: What is "Auto Pass"? A: The Auto Pass is a feature that allows the system to move instead of the player when there is no possible combination he can declare with the discarded tile. This feature was implemented in order to speed up the game process. If you are a beginner, it is advisable that you avoid games with this feature since you need more time to consider which move to make. Q: How do I exchange a Joker? A: For example: If East exposes a Kong composed of three tiles of one dot and a Joker and you have a one dot tile in your hand or you just picked one dot from the wall, you can exchange that tile for the Joker when it is your turn to move, left click on the exposed defined Joker and that Joker will be placed undefined in your hand instead of that tile. Q: What are Minimum Points?